In keeping with my transition into fall; I need to get on the calendar all of the fall activities that I want to accomplish around town this year. Here is a list of the top 5 things I want to attend this year. What do you have going on around your hometown? The Spirit of Halloweentown: I heard about this last year and of course it made the top of my list for this year. The Corn Maize on Sauvie Island: Got to keep up the tradition. 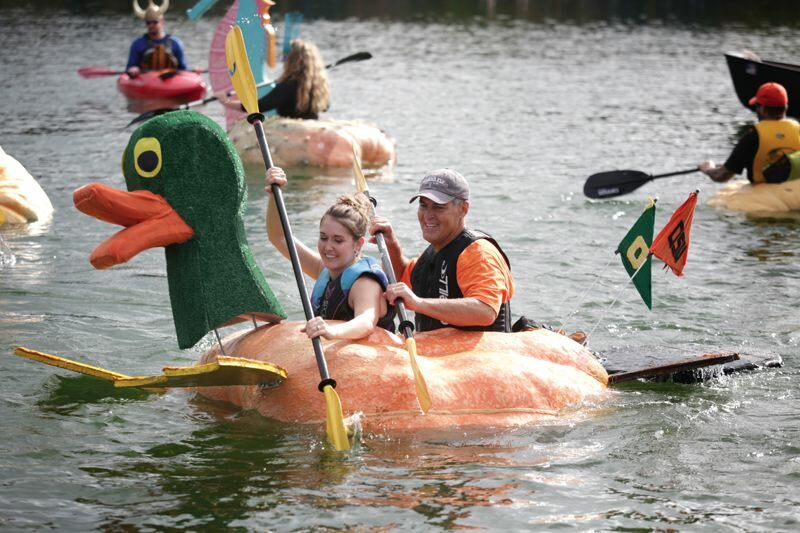 West Coast Giant Pumpkin Regatta: Yes please! This should be some great picture taking. Art in the Pearl: I love seeing the creative abilities of others and what a better way to enjoy it then to have it at a festival with great conversation and food. WORDSTOCK LOOKS AMAZING! I wish I could go. I’d like to try all of these out, please and thank you. Doesn’t it? When I saw that, I immediately thought of you and how your trip was off by two months. There is always next year! I don’t know if this is showing as my comments but here you go………. This post is really getting me in the mood for Halloween but I am feeling bad that we won’t be together to do anything for it! Planning and preparing for our Halloween parties in the past was a lot of fun and believe it or not………….I will miss it! But it is great that Catherine will be here to help you celebrate! She’ll love it! You guys need to have a party! As far as doing things in our own “hometown” you know we’ll be involved with Dave, Brook, and the kids doing something fun and festive! Those guys are already plotting and planning! It’s in his blood…….as it is yours! Good! Everyone needs to be in the mood to celebrate Halloween.